Legal challenges against the recently appointed Chief Justice continued to mount yesterday when a former customs official filed a fresh Revision Application and a Motion before the Supreme Court yesterday. The application was previously dismissed with costs to the respondents by a two judge bench of the Supreme Court, comprising Justice S. Hettige and Justice E. Wanasundera despite submissions by the Counsel for the petitioner that the case should not be listed before one of the judges and should be re-listed before a different bench. In his application (SCFR/536/2010) the petitioner T.R. 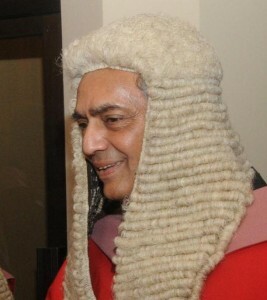 Ratnasiri of Makola argues that as the Respondent Mohan Pieris is now appointed to the office of the Chief Justice and as the matters connected to his Revision Application is about his gross misconduct and dishonesty and of paramount public importance, the Respondent Mohan Pieris is disqualified to take any steps on his revision application. The petitioner therefore requests that his revision application be referred to bench of five Supreme Court judges excluding Mohan Pieris, Priyasath Dep, P.A. Ratnayake K. Sripavan, E. Wansundara, and S. Hettige, as they have been ineligible from the hearing his case, either for the reasons of their own withdrawal citing ‘personal reasons’ or their alleged biased conduct to be qualified to rule on the petition. The Petitioner seeks the reversal of the order on his rights application made by Justice Hettige and Justice Wanasundara on 01st February, on the basis that Hettige J had been reported to the CJ Bandaranayake for abuse of office, and further to the CJ Bandaranayake’s intervention Justice Hettige was compelled to reverse certain decisions he had made that were inimical to the interests of the Petitioner. The revision application argues that Justice Hettige disregarded the objections raised against his participation at the hearing and had ordered supporting his application before him. Therefore, the order made by him, refusing the Petitioner leave to proceed, was effectively one Judge ruling and hence it was a mere nullity, as it had violated the constitutional requirement that no ruling for leave to proceed would be valid, unless minimum of two competent judges had attended the hearing. The Petitioner further states that his original application was purely based on the violation of his fundamental right to equality by an executive act (and not by any judicial act as claimed by the AG) by the then AG Mohan Pieris, who was directly responsible for the withdrawal of the Supreme Court action filed by the Director General of Customs (DGC) against the Respondent, the Colombo Dockyard Ltd, who had defrauded 619 million rupees of public funds. And thereafter directing the DGC to initiate action to ‘recover’ the duties defrauded by the Dockyard refraining to invoke any penal sanction taken against the Dockyard Ltd. Producing the DGC’s observations on his rights petition to the Court, the Petitioner asserts that DGC had confirmed that the action filed against the Respondent Dockyard Ltd was unilaterally withdrawn by the AG, against the DGC’s clear written instructions that withdrawal of the said case was against public interest, considering the colossal loss of public funds of over 619 million rupees defrauded by the Dockyard Ltd. The Petitioner argues that because of the AG’s deceitful act, the informant who relied on the promise made by Customs for a ‘handsome’ cash reward for a credible information given to Customs about the fraud committed by the Dockyard Ltd, from the additional revenue that would have been recovered by way of penalties and forfeitures, lost his legitimate right to a cash reward he was entitled to under the law and therefore, both the Petitioner and his informant have a valid case for denial of their right to an equal treatment before law because of abuse of office and dishonesty of the then AG Mohan Pieris. It is shameful that such a person with a dubious record and bias should have been appointed as Chief Justice. Such unsuitable appointments continue with the Presidents Chief of Staff being appointed as Chairman of the Peoples Bank. The so-called chief of staff is actually a chief of staff who has embezzled probably billions of pubic funds. For more accurate information of this person, about this man’s integrity, and social statues before he began a role of the stooge of Rajapakse, you must asked his batch mates at the Kelaniya University. His asserts at the beginning of ‘political-amdin’ career was bellow zero. Not even a push cycle. When there was a marriage proposal for this man, he had to show that he posses some assets and bought a car over 25 year old (an abandoned peugeout305)and spend months to bring it to roadworthy condition and to show that he is of some worth. For his character as a public servant ask WDL Perera, the former Controller of Immigration, under whom this man began his role as a public servant, as a Asst Controller of Immigration, he may probably tells you volumes of this mans character and integrity, how this man was engaged in issuing passports to fictitious characters and made ill-gotten wealth of millions, issuing passport including to Rohan Wijeweera and Somawansa, when they attempted to fled the country under fictitious name. Surely, Rajapake should have more Gamini Senerath like characters to expedite its downfall to the knees of the people. Some “DESHAPREMI” (I do not refer to any organization) must undertake a “Research Project” to study all the “Appointees” of this regime and compile a dossier and publish for the information of the citizens of this country. Then the country will know how the Public Funds are plundered and mismanaged by the incompetencies of these cronies. It is great service to the country, if this lawyer can expose the total failure on the AG’s Department, that is committed to protect all cheats. It is quite natural Wanasundara, the former AG and Hettige, the former DSG to defend to fraudster Mohan Peiris. People of this country cannot expect anything more than that from these people who abuse the trust place in them by the people. Rajapakse has set ‘specific’ limits everybody. Going past that means becoming a target for elimination. Once execution is accomplished with death, Rajapakse will make statements through media ‘ordering immediate investigation’ into those attacks. He obviously know, that finding the attacker is very simple and straightforward business. It seems Rajapakse is ignorant of his plans that are quite obvious. He has failed to understand that when he points finger towards someone he he points three finders towards him. Faraz was shot at yesterday because of his firm stand in the ‘Dockyard’ fraud. He was the only journalist, who fearlessly exposed Mohan Peiris in the Sunday Leader of his corrupt acts as the AG, and Faraz paid a penalty. Immediately thereafter, as usual Rajapakse issued a press statement, directing to commence investigations forthwith. What the President really should do is to call for the hit list before execution and stop the killing then and there. absolutely correct. He can fool the people most of the time, but never all the time. If what you want is just to expose these wrongdoings, this fighting of this case is OK. Rajapakse installed MP as the head of Judiciary with a specific agenda in mind, to silence all critics going to court seeking redress. Please bear in mind of this reality, when fighting government wrongdoings. Probably people of this country may have to wait for another decade or more, until the corrupt free judiciary is restored in Sri Lanka. People should be realistic. Out of 11 judges in the Supreme Court (except Imman J and ekanayake J) all others are public servants from the AG’s department, appointed just before their retirement age (60) to ‘protect and uphold fundamental rights of the people from any executive or administrative action’. After all, Mohan Peiris is the former AG. It is very likely that those who comes from the AG’s Department will find fault with him, irrespective of whatever grave wrongdoing committed by him. Rajapakse has given sweeping powers to all his ‘yes’ men to behave whatever the way they would like to satisfy their greed for power and wealth. Gamini Senarath, probably his closest stooge, has given things (banks, insurance, control over all ministries) that this stooge cannot handle at all. The purpose is clear,to harvest everything as he please. Same with another stooge Mohan Peiris. This man is given sweeping powers to handle the Judiciary with scant respect to the peoples’ judicial power, and he has already made his intentions clear. No one should expect the case against Peiris to proceed any further at all, that is guaranteed. 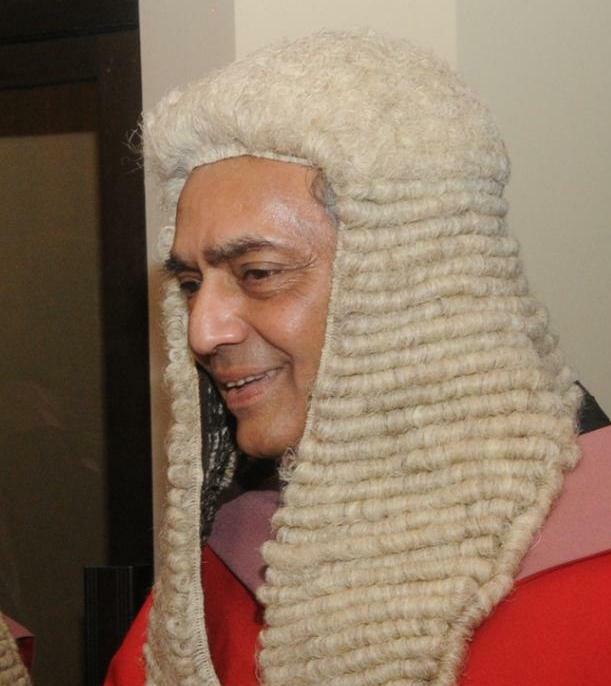 By hook or crook this man will use his mighty and unchecked power to undermine the entire Judiciary. Probably most of the judges, except one or two will succumb to the pressure. it seems that I need not add any more salt to injuries suffered by MP, as message to him is clear and unambiguous.